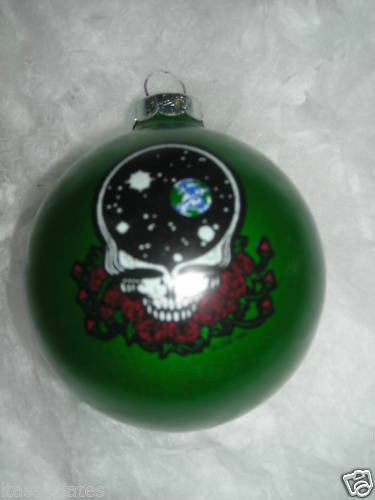 This limited edition Grateful Dead ornament is from 1996 and features a Space Your Face design on a green round Christmas ornament. It measures approximately 2 3/4" diameter (standard size of most glass ball ornaments). It will look great on your Christmas tree. Made by Santa's RockShop and officially licensed by Grateful Dead Merchandise. New in original packaging.